We know that Enterprise Service Management success takes more than just a tool. A platform is a key piece of your transformation, we focus on the most important aspect of getting value out of your investment. 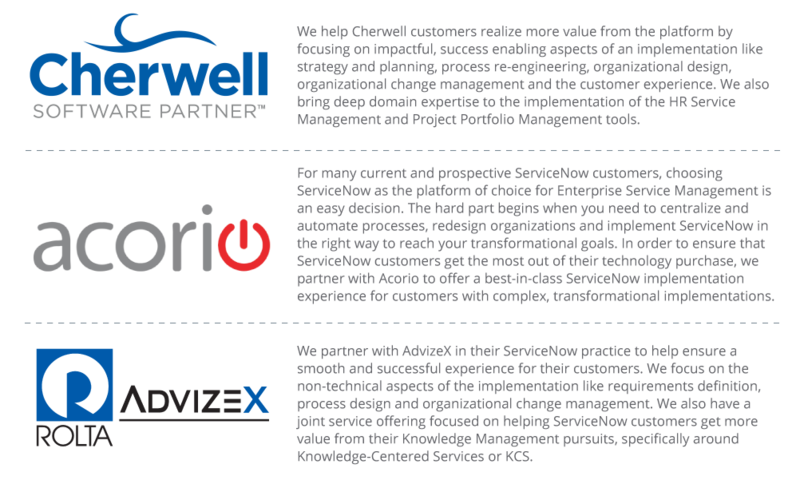 We partner with the industry’s leading Enterprise Service Management platforms and their implementation partners to help ensure successful development and roll out.